The 26th January is Australia Day, and after last year’s monumental celebrations we’re throwing a big old party once more. 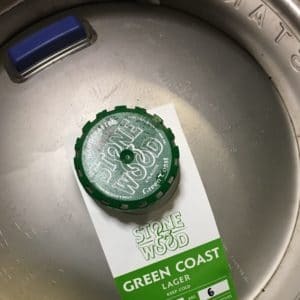 Aussie brewers Stone & Wood will be on the taps, supplying their grade-A beer, and if you’re holding an Aussie passport, show it at the bar and we’ll shout you a pint for free. Founded in 2008 in Byron Bay, Stone & Wood have been purveyors of top quality beers ever since and have travelled oceans to get to us! To keep the vibes high, we have the guys from the Psych-Folk-Pop ensemble from down-under – Tempesst – throwing our the party tunes on the decks. Now London-based, Tempesst are riding a wave since the release of their ‘Feel Better’ EP in Octover, and their headline tour in December. The night looks set to be rowdy!